At dawn today, the gas pipeline from Egypt to Jordan was bombed, for the second time this month. 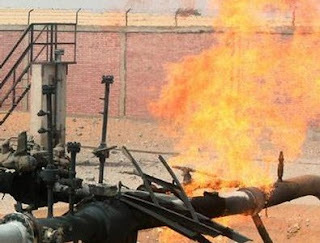 Unidentified gunmen riding in a four-wheel drive car bombed the pipeline that carries natural gas from Egypt to Jordan in the Kharouba” area, east of El Arish. While the Egyptian police arrested a Gaza man for the last explosion, the incentive to blow up these lines is unclear. In possibly related news, ever since the Egyptian coup, the energy crisis in Egypt has apparently, temporarily, disappeared. Gas lines are gone and electricity shortages have been vastly reduced. Cooler temperatures may be responsible for less pressure on the electrical grid, and many are saying that the crackdown on illegal smuggling of diesel and petrol to Gaza is helping the situation in Egypt. It could also be that people are not hoarding as much as they were before the revolution.